A youth movement is sweeping the FIVB Beavh Volleyball World Tour. In parallel with a 21-year old being named the male Most Outstanding Player, 20-year old Eduarda “Duda” Lisboa from Brazil has been named the Most Outstanding Player on the women’s World Tour. 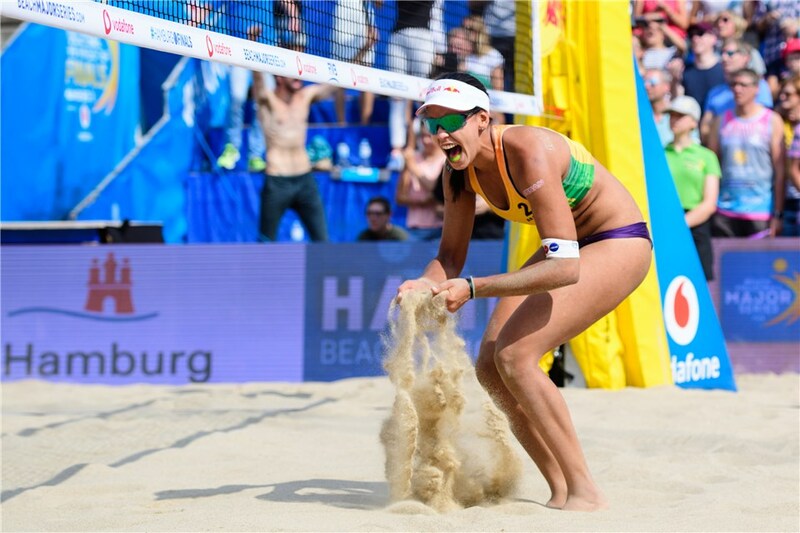 Duda aired with 35-year old veteran Agatha Bednarczuk to win the tour-closing FIVB World Tour Finals in Hamburg, Germany, where they swept Czech pair Barbora Hermannova and Marketa Slukova. For Duda, this was a first major international tour title. She was previously the 2014 Youth Olympic Games champion, the 2016 and 2017 U21 World Champion, and 2013, 2014, and 2016 U19 World Champion as well. She was named the FIVB World Tour’s “Top Rookie” in 2016 at just 18-years old. The pair finished in the top 4 at 6 World Tour stops in the 2017-2018 season, including winning the 4-star Ipatema Open. They are FIVB’s #1-ranked pair in the world, and earned $129,000 (each) in World Tour money alone. The only women’s pair that won more World Tour tournaments than them in 2018 was Australian pair Mariafe Artacho and Taliqua Clancy, who nearly completed a ‘grand slam,’ winning one each of a 1-star, 2-star, 3-star, and 4-star tournament. They placed 3rd in the World Tour finals and 2nd at the Commonwealth Games (a non-World Tour event) as well. Artacho was named Most Improved Player, while Clancy won Best Server honors. The Americans were shut out of the women’s awards this year, after Sara Hughes was named Rookie of the Year last season. Canada cleaned up with 3 awards won by 3 different players.